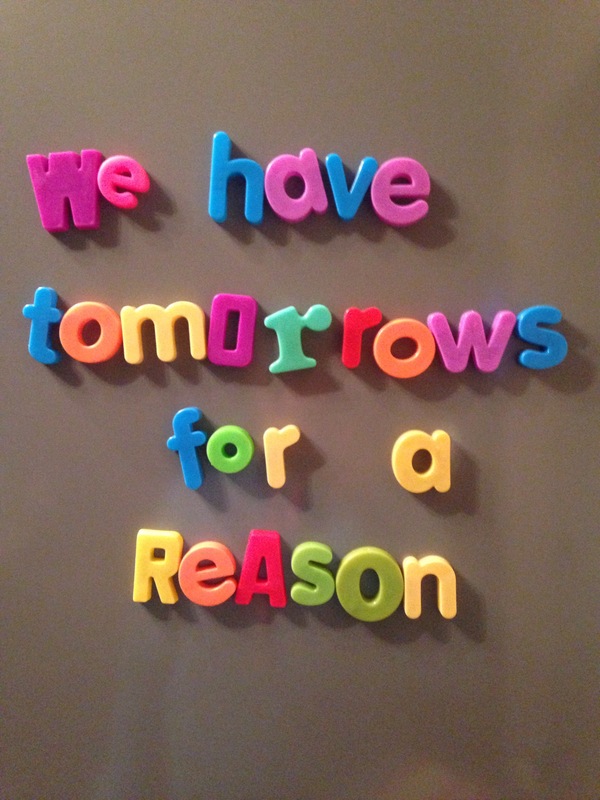 The concept of tomorrow gives me a little hope, so I think this post will mainly be about that four letter word that is way more powerful than most seven lettered words (small things and all that). When the day isnt flowing how I’d like or I feel suffocated by the world around me as people demand, take, grab and ask…I often think that ‘tomorrow will be better’, without defending into melancoholy it’s true that we don’t know when our tomorrow’s will run out, but I hope for tomorrow and to an extent I expect it. Tomorrow gives me hope, for better, less demanding, more enjoying moments. The indulgence of ‘tomorrow’ gives us hope for long term goals to be fulfilled, to not eat all the biscuits (that’s why I’ve eaten them today, to help tomorrow out), for things to ease and change to occur. Change is often like a leaky tap, when really we would all prefer a fountain of change at times, particularly a positive financial gain or when we face a long term illness. I’m not sure what tomorrow will bring? We have plans so I’m hoping it will be lovely, I’m hoping it will come and I’m hoping yours will to…but before we rest our heads and wait for it to arrive make sure that once the chores are out the way there’s a little time today to indulge, to make small changes or just to smile. I hope all of your tomorrows are lovely. And when they’re not (because life likes to throw them at us) I hope you’re able to find at least a little bit of lovely in even the shittiest of days! I always try and tell myself when I have had a particularly hard day that tomorrow is a new day! Sometimes it is hard. Hope you have a fab day!